Gutierrez, who has ankylosing spondylitis, a rare inflammatory disease, threw out the first pitch. He will play in the Venezuelan Winter League next month to try to make it back to MLB. Franklin Gutierrez’s daily routine has been drastically turned upside down. 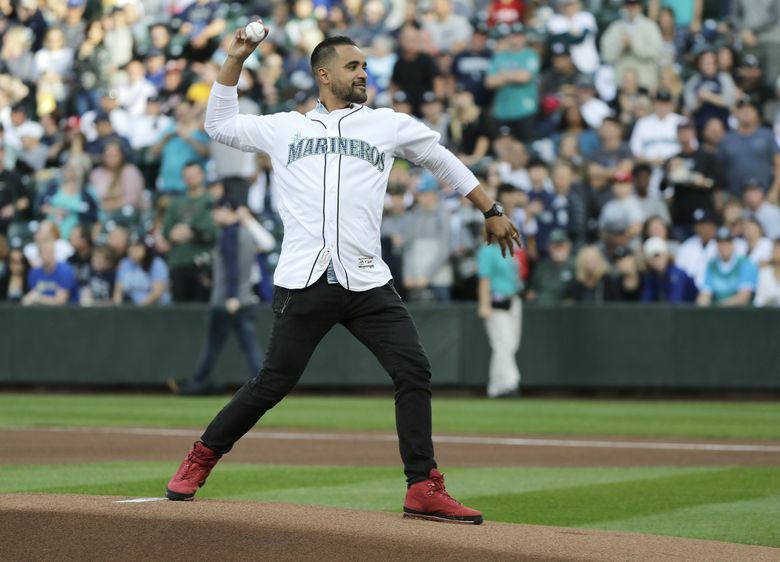 For years, starting his major league career with Cleveland, then spending seven seasons with the Seattle Mariners, Gutierrez woke up thinking about baseball, whether it was participating in offseason workouts, or studying in-season scouting reports. But midway through the 2017 season, after signing a one-year, $2.6 million deal to be the fourth outfielder with the Los Angeles Dodgers, Gutierrez had to walk away because of his ongoing battle with ankylosing spondylitis, a rare inflammatory disease. He has been out of baseball all of this season, too. Enjoying the quiet moments of life. “I just decided to stay home (in Florida) to do things I have never done — take my son (Xavier) to school, and spend a lot of time with my wife (Vivian),” Gutierrez. He isn’t ready to call it a career, though. In a last-ditch effort to get back to the big leagues, Gutierrez, 35, will play in the Venezuelan Winter League starting next month for Leones del Caracas. 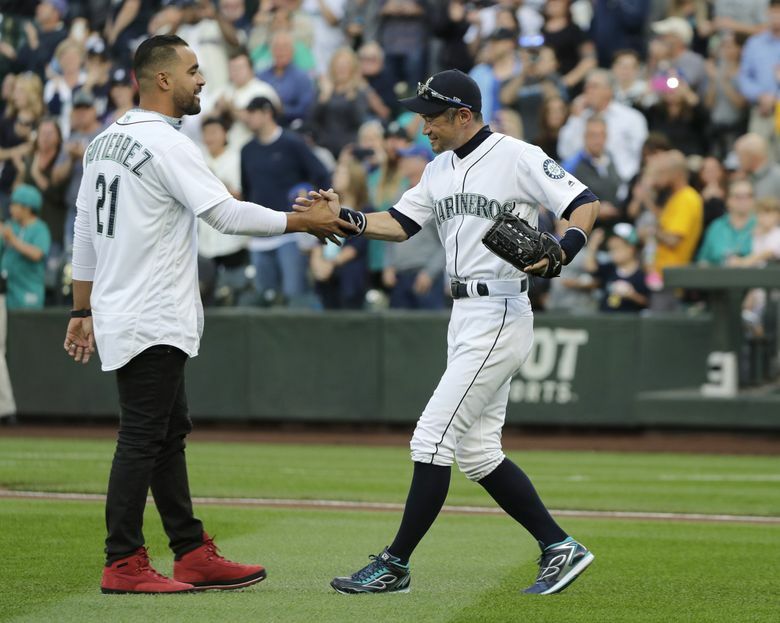 Gutierrez first discovered he had ankylosing spondylitis in the middle of his seven-year tenure with the Mariners. It caused him to miss the entire 2014 season. 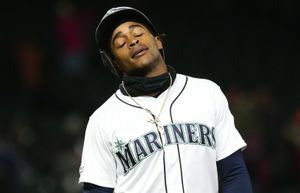 He re-signed with the club the following season, and finished up playing 635 career games with Seattle, hitting .257 with 74 home runs, 268 RBI and 61 stolen bases — all while playing some of the best center-field defense in the American League. The disease still affects him greatly, but he said it is controlled by medication, a healthier diet and lots of rest. Right-hander Adam Warren spent six-plus seasons with the New York Yankees before being traded to the Mariners on July 30 for $1.25 million in international signing money. He anticipated facing his old team being “a little bit weird, and a little bit interesting,” — and it didn’t take long for the two parties to see each other. 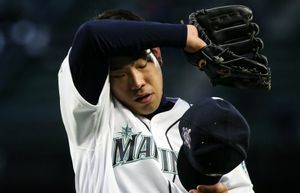 Warren pitched a scoreless eighth inning in Seattle’s 4-0 loss on Friday, needing just 11 pitches to retire three hitters. It was an emotional 25-year anniversary for Servais on Saturday. On Sept. 8, 1993, he was behind the plate at catcher for Darryl Kile’s no-hitter for the Houston Astros. The two were best friends — until Kile died unexpectedly of coronary disease in 2003. “It was a special, special time,” he said. … Servais said the team is set to try and play some of the younger players. One of them he wants to see is infielder Kristopher Negron, whom the team acquired from Arizona on Aug. 30. Negron is expected to see a start in the next two games. … Left-hander Wade LeBlanc will start the series finale Wednesday against San Diego. Servais said the team will continue with a six-man rotation.